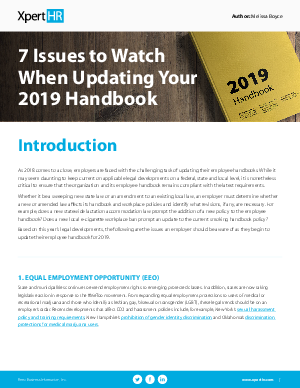 As 2018 comes to a close, it is critical to ensure that your organization—and more specifically, your employee handbook—is compliant with the latest legal developments on the federal, state and local levels. Whether it’s a new state law or an amendment to an existing local law, as an employer, you must determine whether a new or amended law affects your handbook and workplace policies and what revisions are necessary. For example, does a new statewide lactation accommodation law prompt the addition of a new policy to the employee handbook?